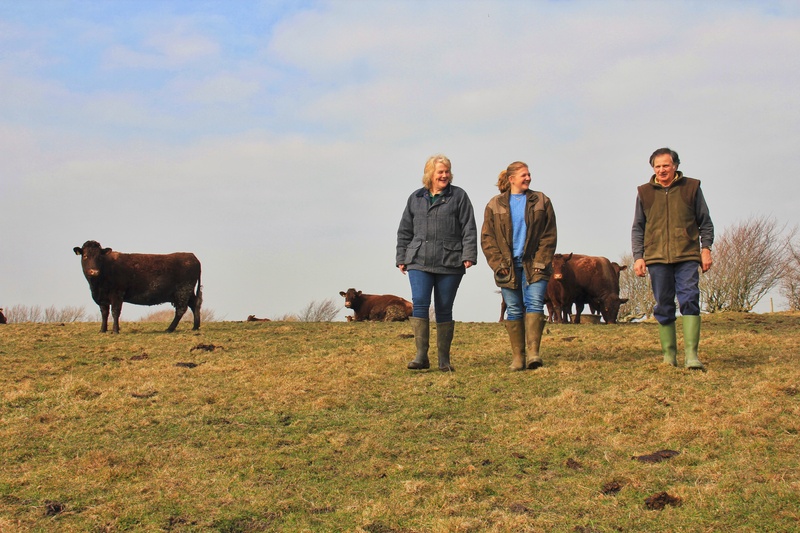 That is very good news for the Eveleigh family, who farm at lonely West Ilkerton in the moors high above Lynmouth – and for local foodies who wouldn’t otherwise have had the chance to buy a box of local Red Ruby beef, which is reckoned by many to be the best in the world. 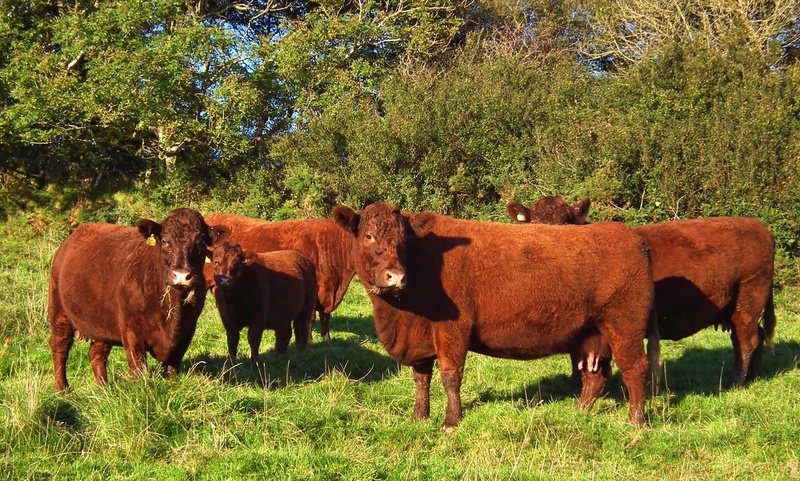 The Eveleighs would have had a lower return on the animal had it gone to the cattle market – and the meat would have gone into the big commercial food chain with no mention that it was prime Red Devon beef. And it was the ubiquitous, world-conquering, social media site Facebook that allowed this to happen – not normally an institution known for helping hill farmers who live and work in lonely remote places. Victoria Eveleigh of West Ilkerton Farm would agree: “This was an experiment – my husband Chris was talking to another Red Devon breeder saying he was going to send this young bull up to market, and he said we could lose as much as a £1 a kilo.” Victoria, a children’s author better known to one and all as “Tortie”, is no stranger to working on a computer – so after the couple, with daughter Sarah, decided they’d try and sell the meat, she gave it a mention on her Facebook page. “The way we went about it was as an experiment because we wanted to cover what we would have got for the two year old bull at market, plus the slaughtering and packing charge,” she explains. 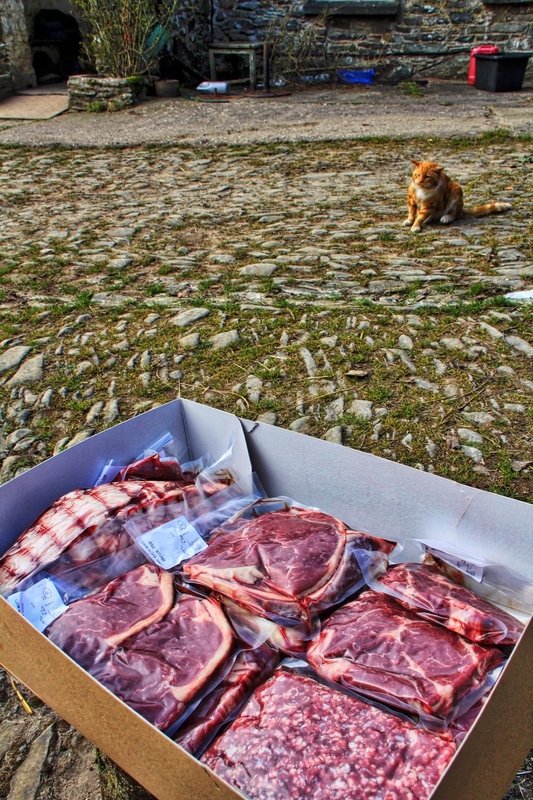 “And that is the other thing that persuaded us to go down this route – the service offered by Keith Heason of Gate to Plate Butchery Services (at the Combe Martin abattoir) is fantastic. There was very little stress for the animal in taking it the few miles down there – and it’s all so hygienic when you get there – everything is done for you, it’s boxed, vac-packed, and ready to go. Back at the NFU, it seems the organisation has been taking internet-based social media seriously for some time. In 2013 there was a large seminar at the NFU annual conference where the opening statement began: “Why you cannot afford to miss using social media.” Discussions included subject matters normally better known to urban teenagers than traditional West country hill farmers – but it seems now that strange things like hashtags and Twitter handles could become as important as the price of hay and the seven day weather forecast. Next Article Exmoor’s Future Landscapes: Bigger, Better, Brighter!